This walk is free, but space is limited, so advance registration is required by emailing: events@harwichconservationtrust.org. You will receive driving directions with your registration confirmation email. This walk will take place Saturday, June 15th, 10:00 a.m. to noon. 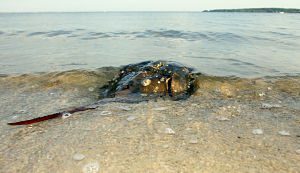 This is the time of year horseshoe crabs mate and start their families. There will be much crab activity at the high tide. Hillary Cressey, a retired biology professor and quite an expert on horseshoe crabs will discuss the life cycle of one of the planets oldest creatures. 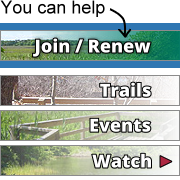 The walk co-sponsored by Harwich Conservation Trust (HCT) and Chatham Conservation Foundation will be led by HCT volunteer walk leader Mark McGrath. Matt Hillman, Director of the Monomoy National Wildlife Refuge, will provide a brief introduction about the refuge. The distance will be less than 2.5 miles at a slow/moderate pace on pavement, firm trails, and soft sand.